It is hoped that the SDGs will “transforming our world.” Science has clearly shown that a 20th century-style economic society is unsustainable for the entire world. The first step towards this change is to understand what the SDGs are, and raise awareness for the social issues that the 17 SDGs aim to resolve. The awards will be presented based on the creativity of the works that focus on the SDGs, but the most important thing is that they allow viewers to grasp an understanding of what the SDGs are, and enlighten them on what the social issues are in a positive manner. 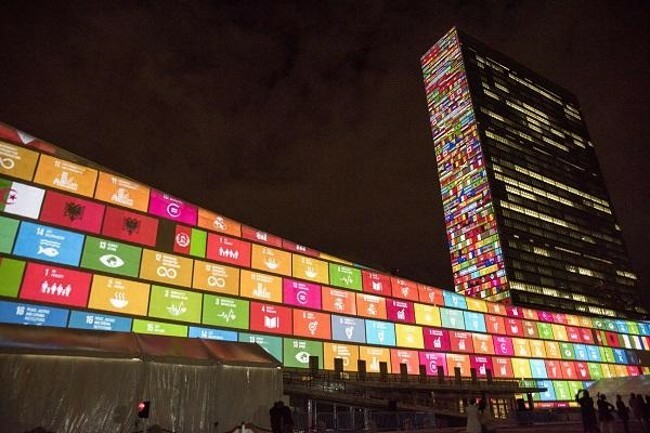 The SDGs are conceptual, but implementing specific action will require applying the concepts to real social problems in a quantitative manner, and taking time to give them careful consideration. After the awards have been presented, we plan for all works that passed the initial screening to be made available to the general public. We believe this will contribute greatly to the promotion of the SDGs and the changing of the world by 2030, by making the movies available at all times as shared assets of society. 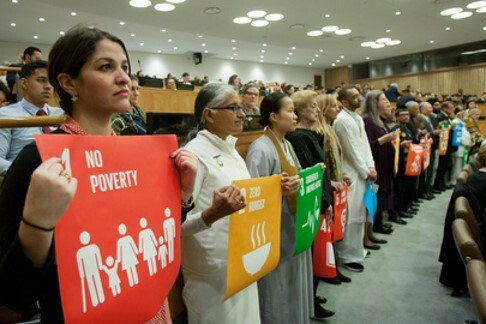 They will promote understanding for the SDGs and social issues in an easy-to-understand, positive manner for those involved in education at schools, classes, seminars and meetings in local communities, as well as people involved in employee training and education, or those who want to learn and understand more about the SDGs and take action. How can the state of poverty around the world be portrayed through figures? 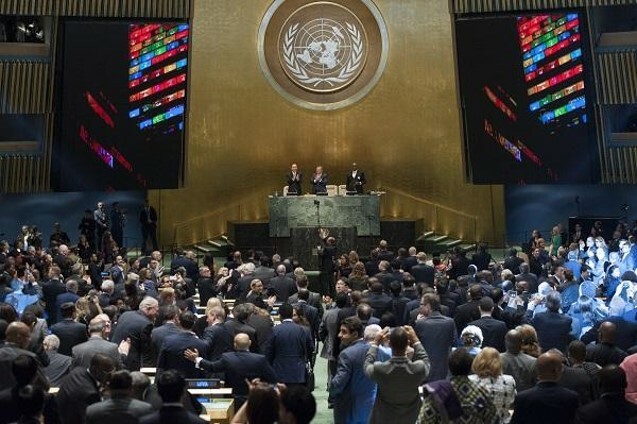 How has the situation changed up to this point since the adoption of the MDGs (in 2000)? What are the individual issues associated with the resolving of the poverty problem? What other issues are associated with the poverty problem? What actions and measures are required to solve the problem? How are local and global initiatives interconnected? Messages that encourage the taking of action to end poverty, etc. In this case, the objective is to promote understanding for the details and meanings behind Goal 1, to end poverty in all its forms everywhere. 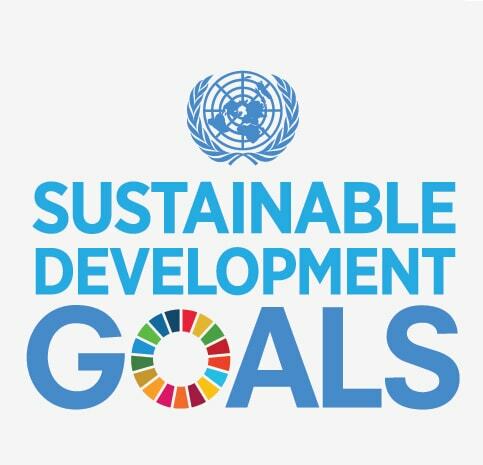 However, in the event of not focusing on only one goal, but the SDGs in general, or in other words, explaining the SDGs in their entirety, all 17 goals and icons may be used. The state of poverty among children, and the issues. Initiatives aimed at resolving the issues. What partnerships have been formed in implementing initiatives. What people hope for in becoming involved. What has changed, and how, since the initiatives began. What other issues were resolved as the result of ending poverty (chain reaction of results). As listed above, information on the issues and status of poverty should be incorporated into the movie, with an explanation of Goal 1, to end poverty in all its forms everywhere. The 180 second movie should also portray specific examples of cooperative action in explaining the local action. In particular, it should allow the visualisation of initiatives that are already being implemented in the hope of setting an example (of good practices) to viewers, and inspiring them to take action in launching local initiatives themselves. The concept of “indivisibility” is a characteristic of the SDGs in that a single solution has the potential to trigger a chain reaction of solutions. All 17 goals and icons may be used if this concept is to be depicted in the movie. With the aim of allowing more people to make use of the movies for promotion and education in the future, the lengths of the movies have been limited to 60 and 180 seconds. Those who feel they must exceed this limit may do so if it is only by a few seconds. Movies may also be split in half and submitted as a series of two videos. Moreover, the movies may be actual footage, animation, infographics, etc. There are no restrictions as long as they are submitted as movies. Movies of songs, dances and other forms of non-verbal communication are also welcome. We would like to invite everyone to give full play to their creativity in making their SDGs movies.